Have you ever wanted to know how early man and prehistoric people made their survival tools? 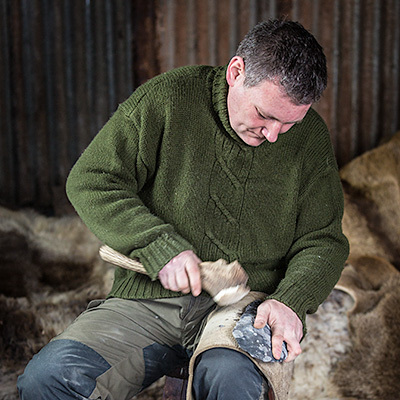 Have you ever wanted to learn about flintknapping? 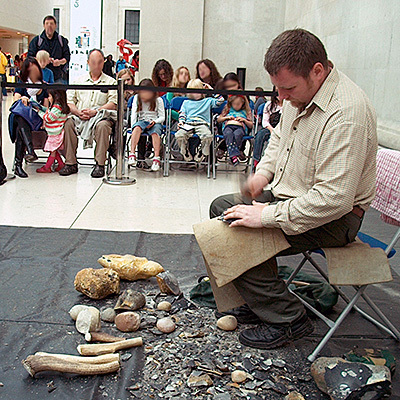 Even make your own flint tools or weapons? I run personal workshops (courses) for a maximum of three people, in which you will learn how to make a flint tool using the same techniques are ancestors would have been familiar with. By keeping the numbers low you will be assured of excellent tuition – and impressive results. These personal courses are held at my workshop near Chepstow. Attendees of all ages are welcome, including childeren from 8 years old. Learn how flint tool and weapon designs changed from the earliest paleolithic, then mesolithic and finally ‘recent’ neolithic times. 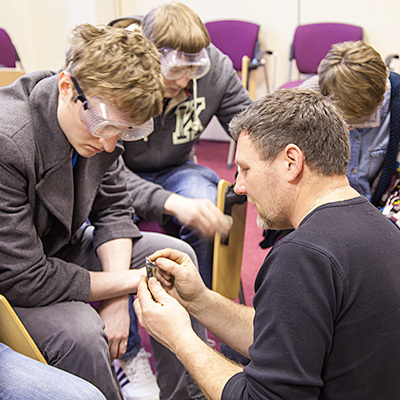 Personal workshops are also available as a gift on request – certainly makes an unusual present. Price quoted is per day for up to three people. Workshops run from 10am to 4pm on weekdays or weekends and can be arranged around your commitments. Details of nearby accommodation available on request. Please do contact me if you need further details and for current workshop schedules. I can also provide full day workshop and half day workshop at your location, for up to 15 people. Fantastic 2 days learning how to pressure flake arrowheads. All down to excellent guidance, I managed to get my technique right to overcome lack of huge muscles and worked brilliantly! Worked glass, Obsidian and flint and now very keen to go knapping anything knappable :). I proudly went home with small pieces of art.